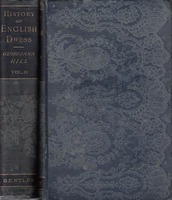 A History of English Dress from the Saxon Period to the Present Day. 2 vols. Evolution & Revolution: Chinese Dress 1700s - 1990s. Cecil Beaton: The Authorized Biography. BEATON Cecil. (By Hugo Vickers). History of Lace. Entirely revised re-written and enlarged under the editorship of M. Jourdain and Alice Dryden. Underwear and Lingerie. 2 parts in one volume. WOMAN'S INSTITUTE OF DOMESTIC ARTS AND SCIENCE. A Girl's Life and Other Pictures. Helmut Newton: Sumo. Edited and designed by June Newton. Hotel Lachapelle. Photographs by David Lachapelle. Finger-Ring Lore: Historical Legendary Anecdotal. Directed by Sydney Ure Smith Bertram Stevens and C. Lloyd Jones. HOME THE : AN AUSTRALIAN QUARTERLY. The Best of Beaton. With notes on the photographs by Cecil Beaton. Introd. by Truman Capote. Le Corset a Travers le Ages (The Corset across the Ages). Illustrations de Saint-Elme Gautier. Harrison Fisher's American Girls in Miniature. A Garden of Girls. Decorations by Theodore B. Hapgood. 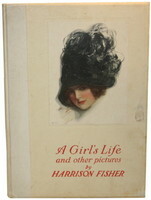 The Harrison Fisher Book. A Collection of Drawings in Colors and Black and White. With an introduction by James B. Carrington. LANVIN J. (By J. Alaux et al.). Bibliography of Costume. A Dictionary Catalogue...Ed. by H.G. Cushing and A.V. Morris. HILER H & M. (Compl. by.). Bachelor Belles. Decorations by Theodore B. Hapgood.